On this day, January 24, my father was born. I don’t know the day of the week or the time of day. All I know for sure is that it was 100 years ago. My guess is that it was a home birth. 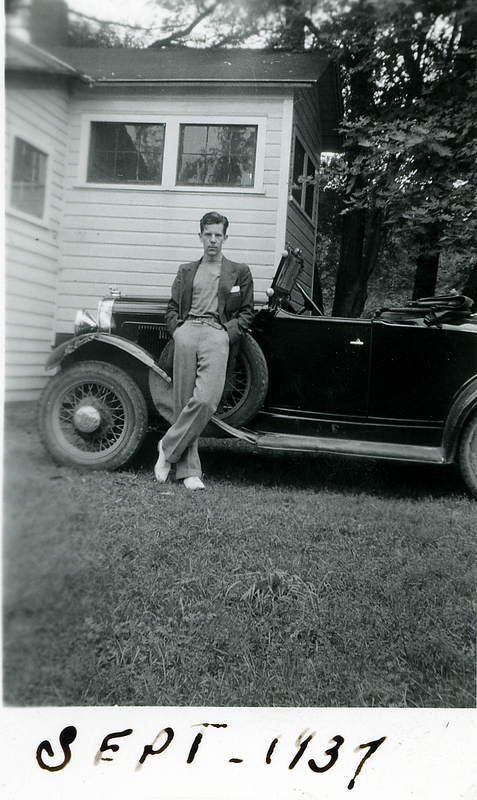 My grandfather, Michael, would likely have been pacing the floor of their modest home in Pittston, Pennsylvania. My grandmother, Edna, would have been attended to by mid-wives and perhaps a nurse. Then again, I don’t really know all these details for certain…maybe he was born in a hospital with doctors attending. I just don’t know and it’s way too late for me to find out what happened…100 years today. He lived one month past his 90th birthday. He died in a nursing home in Sayre, Pennsylvania. I had waited by his bedside until I felt that I had to leave. Forty minutes after I got home, I got the call telling me he had passed. Maybe he was waiting for me to leave before he left. He was in a drugged sleep, so, again, I’ll never know. He was a man with Dark Irish blood in his veins; something he was proud of. He lived through the presidencies of Wilson, Harding, Coolidge, Hoover, Roosevelt, Truman, Eisenhower, Kennedy, Johnson, Nixon Ford, Carter, Reagan, George H.W. Bush, Clinton, George W. Bush and Obama. He was born only a few years after the Wright brothers flew an airplane and he watched Armstrong and Aldrin walk on the moon. His life spanned WWI, WWII, Korea, Viet Nam and the Gulf Wars. He saw the birth of the computer age and he watched with interest when Viking landed on Mars. He lived through the Great Depression (something he never forgot). His parents were not well off financially so he dropped out of school and headed to New York City to work for Bell Labs in the west village. He sent a few dollars home. With what he had left, he went to the movies. He watched the Empire State Building being completed. After NYC, it was back to the farm. He finished high school a year early. He married my mother, Mary, in 1936. 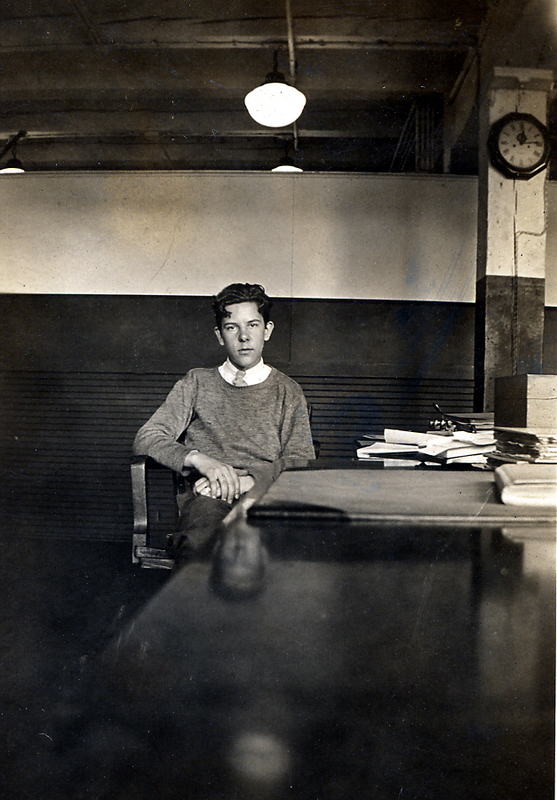 He went to work for IBM in Endicott, N.Y. in the late 1930’s and retired in the mid-’70’s. He loved golf, Ireland and Irish golf. It was from him that I got the love of reading. Sadly, he went through a period of loss that began in 1991. He lost his granddaughter, his wife and two of his four sons (both were in in their fifties). A year before he passed away, he learned that his youngest son (me) had survived leukemia…but he never lived to see my first book published. I could go on. 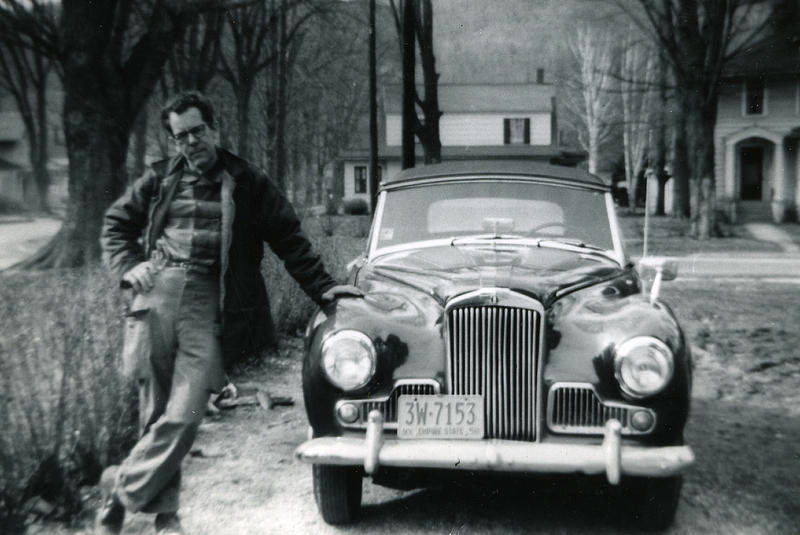 But, I will only add that he loved cars…but only certain cars. I don’t know what criteria he used in measuring the character of a certain car over another, but look into his eyes in the photos below. Maybe you can see something I missed. One more thing: at around the age of 86, he discovered ABBA. What’s left to say? He lived a long and interesting life. Let’s hope we all do that.